Midway, Lavaca County, Texas history, vintage photos & map, landmarks, travel, hotels. An early land grant of the Republic of Texas, J. Branton Johnson acquired the land here in March of 1838. The property was broken up for sale to arriving German settlers after the Civil War. Frank Klecka chose this particular spot to build a store and recreation hall. The convergence of several roads with the railroad tracks made Klecka�s business a sure thing. A few years later a cotton gin was built, forming the nucleus of a community. Early population figures are unavailable but the 1950 Census reported 50 residents of Midway. 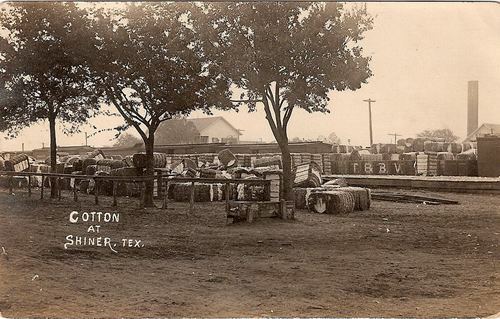 Cotton was the town�s economic engine for the first half of the 20th Century. It peaked in 1906 with 40,000 bales being reported. It was half that number shortly after WWII. 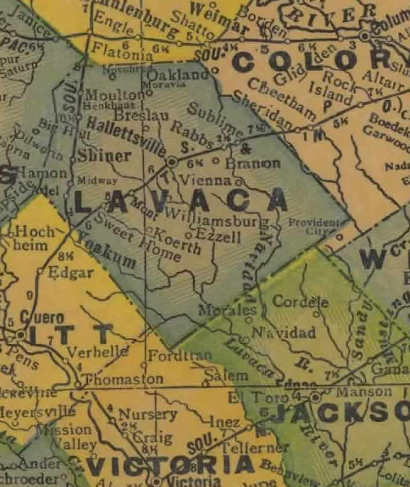 Midway�s cotton gin was the last to operate in Lavaca County. School-age children in this part of Lavaca County first attended the Broom Weed school on South Mustang Creek as early as 1885. Mary Singer taught all the children in a single classroom. In 1890 the crude frame schoolhouse was deemed inadequate, and Mr. and Mrs. W. J. Beasley opened the second floor of their home for classes. 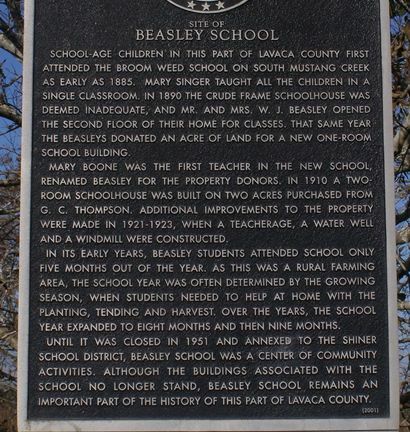 That same year the Beasleys donated an acre of land for a new one-room school building. Mary Boone was the first teacher in the new school, renamed Beasley for the property donors. In 1910 a two-room schoolhouse was built on two acres purchased from G. C. Thompson. Additional improvements to the property were made in 1921-1923, when a teacherage, a water well and a windmill were constructed. In its early years, Beasley students attended school only five months out of the year. As this was a rural farming area, the school year was often determined by the growing season, when students needed to help at home with the planting, tending and harvest. Over the years, the school year expanded to eight months and then nine months. Until it was closed in 1951 and annexed to the Shiner school district, Beasley School was a center of community activities. 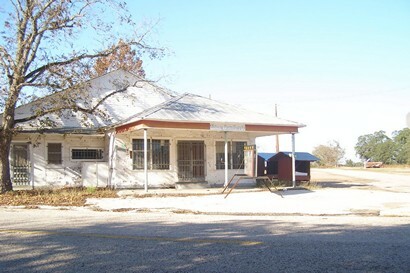 Although the buildings associated with the school no longer stand, Beasley School remains an important part of the history of this part of Lavaca County.